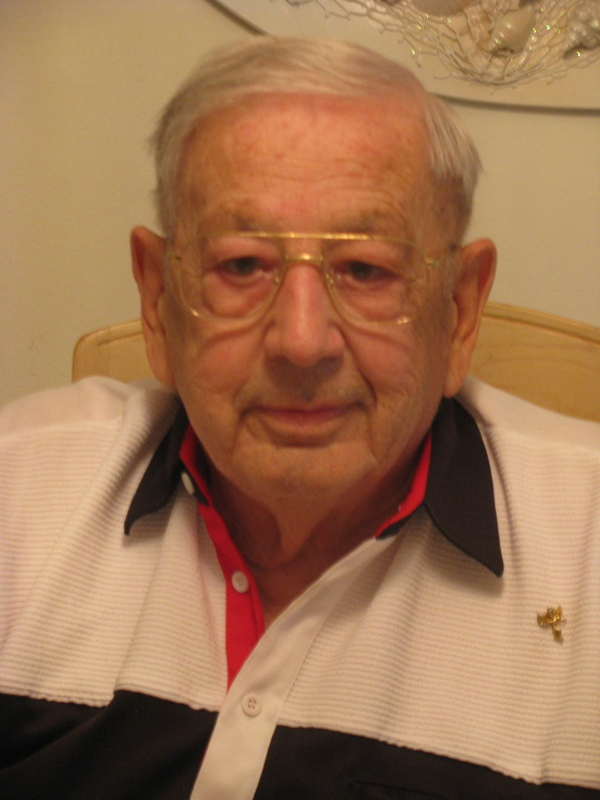 Andy Pace of Port Charlotte, Fla. served as a member of Gen. George Patton’s 3rd Army in World War II. 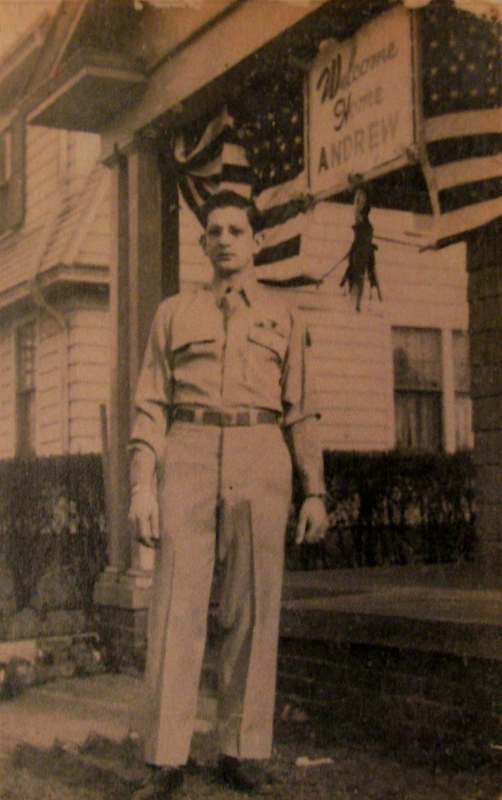 He was a battalion radio operator for Headquarters Company, 58th Armored Infantry Battalion, 8th Armored Division. “After landing at South Hampton, England in October 1944 we sailed across the English Channel and went to Le Harvre, France. 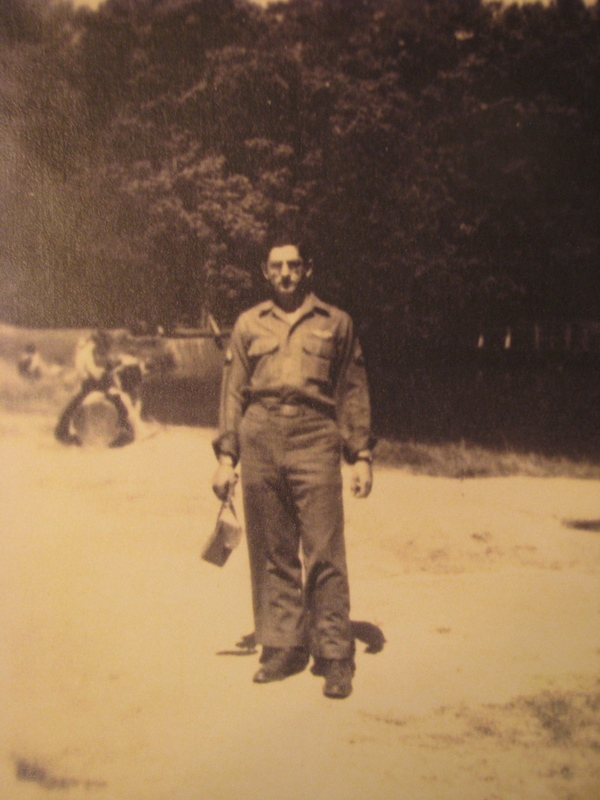 Our first combat missions was a town in the middle of France,” the 89-year-old former infantry sergeant explained. 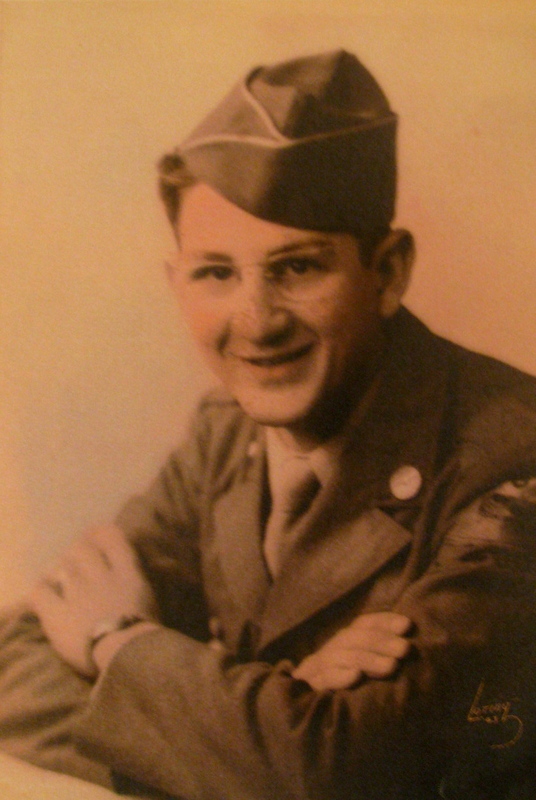 “We hooked up with Patton in November 1944, about a month before the Battle of the Bulge. What Pace recalls most about the war that winter was the cold and snow that made the fight even more miserable. “You always carried one or two extra pairs of socks in your shirt with you. The only way to keep your feet from freezing was to keep ’em dry. That’s where the socks came in. When you’re feet got wet you switched your wet socks for dry ones,” Pace explained. “We had snow up to our ears. You couldn’t put your bare hand on a vehicle or you’d never get it off,” he said. “The ice and snow was so bad we had to put rubber blocks on the tanks’ treads every few inches to keep them from slipping on the ice. “The Airborne guys would jump on the back of our tanks where the engines were to keep warm. It was the same way with our halftrack. The engine was always going because of the radios we carried. One thing armored units learned not to do was spend much time parked in the middle of a crossroad in enemy territory. “All the crossroads were zeroed in by German artillery. Almost immediately a German 88 shell would land in front of the lead American tank. Then a second round would hit the ground just behind the tank. At that point you’d better take your tank and get out of there because the next 88 round would be right on. “Being the battalion radio operator I was a half-mile to a mile behind the front lines in my halftrack. We carried three radios: I had one radio for local action, another for our 8th Infantry Division and a third radio for air action,” Pace said. He remembers how pleased the Dutch people were that we had arrived and run the Germans off. After the war the Dutch ambassador would often show up at their annual 8th Armored Division Reunions to thank them for the part they played in liberating Holland during the Second World War. “On VE-Day (Victory in Europe) we were in Dusseldorf, Germany. It was at this point there was talk of us having to finish the war in the Pacific,” he said. “They dropped the A-Bomb on Aug. 6 and a few days later the war was over,” Pace recalled. “Thank God for Gen. Patton and President Harry Truman. I wish we had ’em both back. We wouldn’t have the problems we have today,” he observed. “I was on furlough on the French Rivera enjoying myself when they dropped the Atomic Bomb. “I didn’t have enough points to go home right away,” Pace said. “I didn’t get to go home until February 1946. I went back to Le Harv were I took a Victory Ship back to New York City. “It took us 13 days to make New York from France. We were met by the Salvation Army at the dock and taken to a big mess hall were we were given steak and beer,” he said. “From there I went to Fort Devon, Mass. where I was discharged from the Army. “I tell everybody, ‘They didn’t call us The Greatest Generation for nothing. We did what we had to do,’ ” the old soldiers said with pride. He and his wife, Agnes, moved to Port Charlotte in 1993. On Nov.17 they will have been married 65 years. The couple has one son, Andy, Jr., who lives in North Haven, Conn. He is the international sales manager for a firm that manufactures stainless steel tools. Click here to view Andy’s collection in the Library of Congress Veterans History Project. This story was first published in the Charlotte Sun newspaper, Port Charlotte, Florida on Monday, Oct. 8, 2010 and is republished with permission. Okey – there’s a strong possibility Andy Pace does not follow this blog, and possibly not on the internet. Please contact Don, the author of these interviews at donmoore 39 at gm ail. com but put it all together asking him to contact Andy for you – for you to get in touch with him. Tell him Mary gave you these instructions.